An Egyptian court has sentenced former President Mohammed Morsi and 16 others to life in prison, which holds a 25 year sentence, on charges of espionage. Khairat El-Shater, Mohammed El-Beltagy and 14 others were sentenced to death by hanging on the same charges. 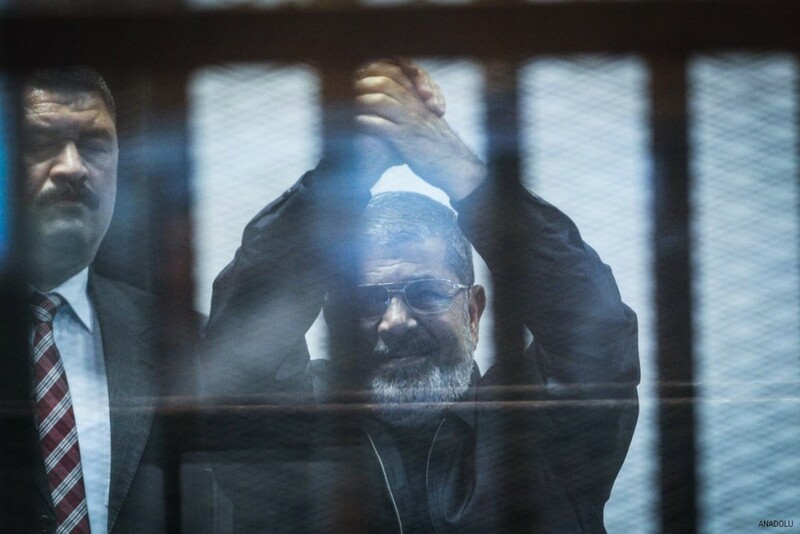 Deposed President Mohammed Morsi and 20 others had initially been sentenced to life in prison on charges of espionage. The Court confirmed life sentences handed down to Morsi and 16 others, and sentenced another two defendants to seven years in prison. Morsi and his co-defendants had been charged with espionage and communicating with foreign elements, including Iran and Hamas, to hinder Egypt’s national security. A second charge of escaping from prison that initially saw Morsi sentenced to death was also confirmed on Tuesday.